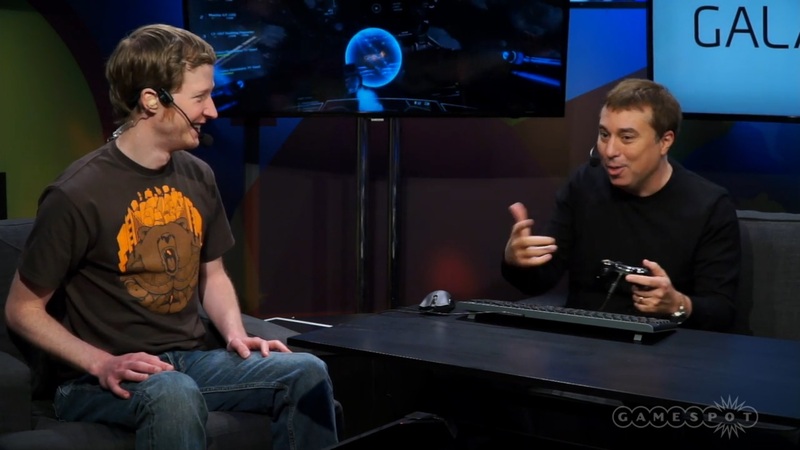 Chris Roberts was interviewed by Chris Watters from Gamespot at E3 2014. During the Chris Roberts E3 2014 interview, he [Chris Roberts] talks about near future plans for Star Citizen, Flight model and an updated overview on Star Citizen. Chris Roberts states that Star Citizen will ramping up multiplayer access to the recently released Arena Commander. The roll-out will start small – only a few hundred of the earliest backers will be granted access at first. Once it is determined that the servers are stable, more servers will be spun up and access will be granted to a few thousand more players. Again, server stability will be closely monitored and if the level of stability is acceptable, many more players will be granted access. Chris Roberts also stated that Arena Commander v1.0 should be released by the time all of the eligible players are granted access to the multiplayer game modes of Arena Commander. This also implies that v0.9 will be released sometime between now and that time. He, however, made no mention of v0.9. Arena Commander v0.9, as mentioned in this official post on the Roberts Space Industries website by Chris Roberts, is to include a mix of performance and stability fixes, animation and general graphical improvements, control improvements – both for control input methods and the Intelligent Flight Control System (IFCS), a general balance pass, a few new items to use in Arena Commander and much much more. It can easily be assumed that the release of v0.9 will mark the roll-out of the multiplayer game modes to eligible players due to its mention of the addition of multiplayer game modes.